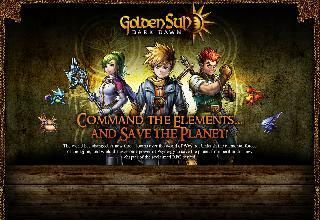 Golde Sun returns to NDS!, The story starts but now with the offsprings of the heroes from the other Golde sun games. You will know that the children of the heroes will be almost like their parents. 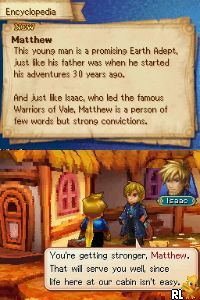 Matthew is a strong, brave warrior and an earth adept. Terry is a troublemaker, a badass and a fire adept. Karis is a smart girl a wind adept. Rizzo is smart too, and he's a water adept. Now the main goal is to stop the Dark Eclipse with the Apollo Eye. At first, the objective was to get a Roc Feather 'cause Terry broken an artifact that will allow to the adepts to fly and check out the Sol Sanctum that now is a Volcano. So we will start as Matt and then Karis will join up to the team and the other part of history. You must discover it by yourself! Now you can add videos, screenshots, or other images (cover scans, disc scans, etc.) 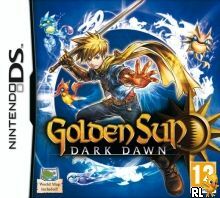 for Golden Sun - Dark Dawn (E) to Emuparadise. Do it now! If you haven't noticed yet, we have a retro game of the day feature (top-right of the screen) wherein we feature a new retro title every single day! Now, you can vote for your favorite games and allow them to have their moment of glory. 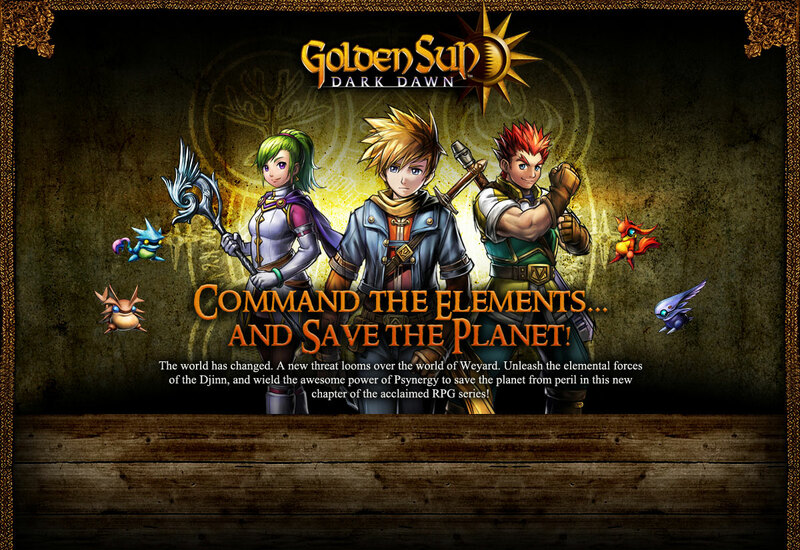 Click on the button below to nominate Golden Sun - Dark Dawn (E) for Retro Game of the Day.